SUERF events are designed to be of relevance, value and interest to its Members. We organise an annual programme of six to ten high-quality international conferences with renowned institutions. Our event programme provides an opportunity for debate and networking among eminent and well-known research economists, policy makers and financial experts. Speakers’ papers, presentations, speeches and conference reports from featured events are made available on SUERF‘s website. Below is a list of recent and forthcoming events. 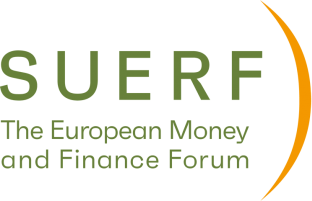 "In bringing together academics, commentators and policymakers, SUERF’s events and publications help to improve the quality of public debate about stability and regulatory policy in Europe. That’s very important. I have been glad to be part of their efforts." EIB/SUERF Conference on "Financing Productivity Growth in Europe"